. : TESTIMONIAL DE Jeanne and Jeff Corkill. TESTIMONIAL DE Jeanne and Jeff Corkill. Mexican Houses Architects designed and constructed our rustic Mexican casa within a year. After settling on a design produced in 3-D software, construction began in September 2007 and we moved into a beautiful and unique home in March 2008. Because we both work in the United States, Jorge, Carlos and Mauricio, three of the architects, communicated with us weekly via e-mail, sending many photos showing the progress of all aspects of the building. Budgets were outlined and timetables setup on an easily understood spreadsheet. The whole process was on time and on budget and everything worked. 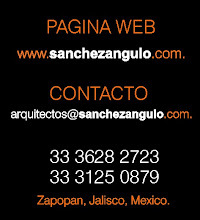 We found the firm of Mexican Houses… creative, innovative, professional, honest, direct and efficient as well as kind and welcoming. We recommend them wholeheartedly and like to think of them and their team of construction workers as our friends and colleagues. We are delighted with all aspects of this home. I hope the above is what you want and if you want anything more or different just let me know and I will try to write something more. If ever a customer of yours wanted to talk to us directly, they could call us in the United States and we would personally recommend you.. I look forward to hearing from you. thank you again.